Today some issues of the 7000 Race series of Decca. 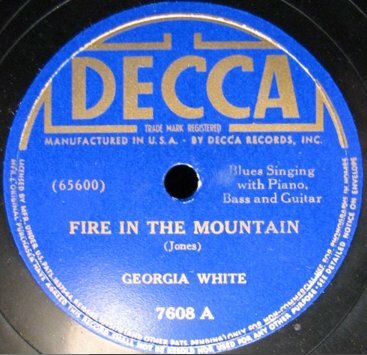 I featured this label that was so important for pre-war Rhythm & Blues twice before and today I spotlight the year 1939. We'll see many of the artists back, that were also on the previous two shows. Compared to the amount of issues, the roster of Decca wasn't that big, but most of the artists did dozens of sides for Decca, sometimes even over a hundred, and stayed for many years.